Pumpkin Spice Latte's have returned to Starbucks Stores! Is summer officially over because Starbucks beloved autumnal drink has returned to stores? The limited edition autumnal latte has returned to Starbucks. The Pumpkin Spice Latte is a favourite beverage on the Starbucks Seasonal Menu, with people taking to Instagram with pictures of it every day. However, Starbucks didn't make it clear that it wouldn't be released in other countries other than the United States until a later date. Indeed, if you live in the United States, enjoy a delicious Pumpkin Spiced Seasonal Latte whilst they last. There is no news as of yet if it will be making an early release in the United Kingdom as well as other countries. If you're in the UK and waiting for a Pumpkin Spice Latte, Costa Coffee has certainly got your back with their new Bonfire Range. The Bonfire Range features a latte with hints of toffee and spices, topped with caramel and cinnamon. Also, there's a bonfire hot chocolate, blended with bonfire syrup and spices. These drinks can come as a cold brew too - the same recipe topped with whipped milk! 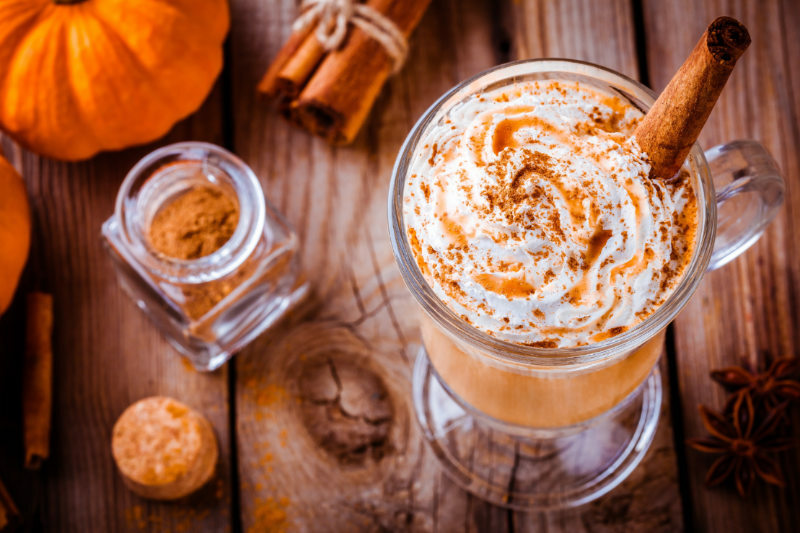 If you want an autumnal drink, head to one of these coffee shops in the UK to enjoy a Bonfire Hot Chocolate!